Front view of this building resembles a magnificent Palace of Europe. 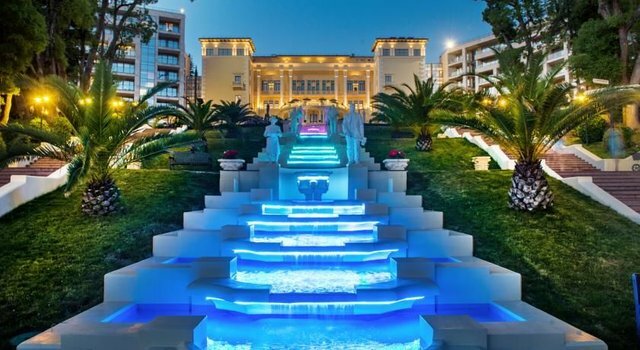 Swissotel Resort Sochi Kamelia is located under the management of Swissotel international, one of its branches are located in Bali, Indonesia. Price of stay per night dibandrol start price of Rp 4.3 million, quite expensive but worth the architecture and beautiful views of the eyes. 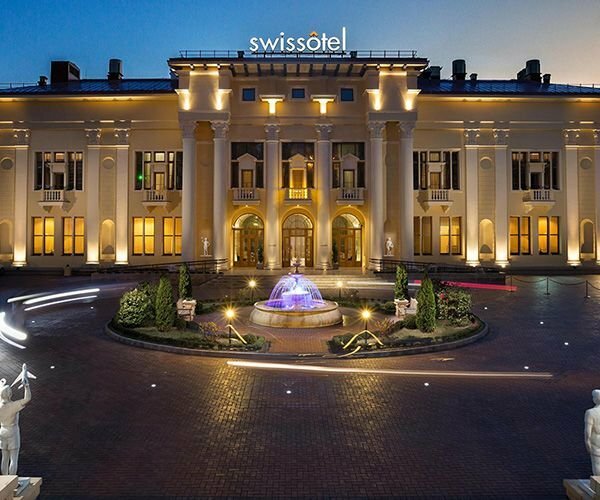 Swissotel Resort located in the Camellia Kurortny Prospekt Sochi. If not satisfied with the look ahead, let's look back yard. There is a white stone staircase with an artificial waterfall in the middle section. Large swimming pool and beautiful gardens decorated with colourful lights during nighttime. Views of the waterfront and sea make beauty resort is makin plenary. Congratulations @steemmuaradua! You received a personal award!